Introducing our newest 3-bedroom townhome, Koa Resort 2F. Immaculately remodeled with over 1800 Square feet of living and lanai space, guests enjoy the comfort that this home-away-from-home offers. Located just steps from the Cabana and BBQ area, grilling your favorite island fish is a breeze. Relax on the large lanai and soak up some sunshine while you plan your next island adventure. This spacious townhome is beautifully appointed with all new furniture and bedding. A King bed is featured in the Master Suite, as well as a King Bed in the upstairs bedroom and a Queen bed in the loft. Tastefully remodeled corner unit, 2F is a very spacious home with 1,798 sf of living area plus a large garden level lanai and a second lanai adjoining the loft bedroom upstairs. The kitchen remodel boasts granite countertops and stainless steel appliances. A mirrored wall in the dining room adds to the feeling of space. This condo's downstairs area consists of a large and open living room, dining room, kitchen area and an attractive powder room. Also downstairs is a gorgeous master suite which consists of a master bedroom with a king bed, a large walk-in closet, and a luxurious master bath with a raised jetted tub and separate granite shower. The use of glass blocks provides light throughout. Upstairs has two bedrooms, the first is a loft bedroom with a Queen bed and an adjoining lanai. The second bedroom has a King bed. There is a hall bathroom which serves both of the upstairs bedrooms. 2F has the premier location within Koa Resort, away from the roads, and is close to the pavilion, tennis courts and parking. Koa Resort boasts the largest condo complex pool in all of South Maui. Additionally, it has a hot tub, tennis courts, shuffleboard, gas BBQ's, and a beach right across the street for walking and gorgeous sunsets. Relax on your own private ground floor lanai, which is located just steps from the swimming pool. This unit is one of the shadier units in the complex, making it a treat to sit outdoors and enjoy the Maui weather. Getting anywhere and everywhere simple from Koa Resort since there is a Pi'ilani Access Road right next to the property (Kulanihakoi Street). 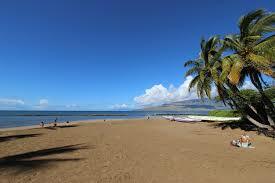 Kahului is just 8 miles from this property and you just have 25 miles to drive to get to Lahaina/Ka'anapali.